When I was at the grocery store last week they had chicken thighs and chicken legs on sale. Needless to say I racked up on some framily sized packs of both. Since I have so many chicken parts I’m now struggling to find something different to do with all of it. 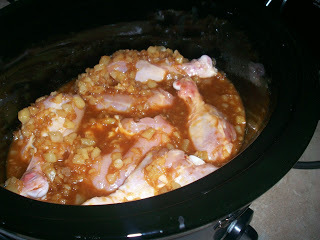 I went through the pantry and found some almost forgotten ingredients and spices and came up with crock pot pineapple teriyaki chicken. 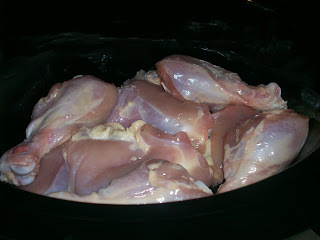 Place the chicken thighs and legs in an even layer as possible in a 5 – 6 quart crock pot. Evenly sprinkle the onions and peppers over the top of the chicken. In a medium sized bowl combine the brown sugar and cornstarch with a fork. 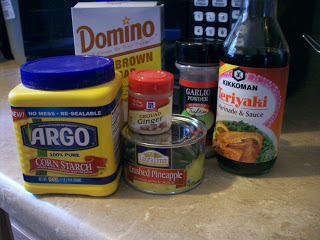 Add the remaining ingredients to the brown sugar/ cornstarch mixture and thoroughly mix. 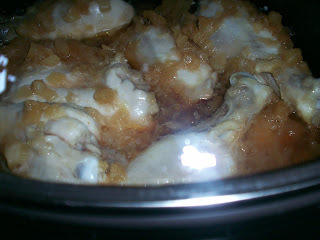 Pour the mixture over top of the chicken, onions and peppers in the crock pot. Cook on low for 7 – 9 hours or on high for 4 – 5 hours. Serve with favorite steamed veggie and rice. 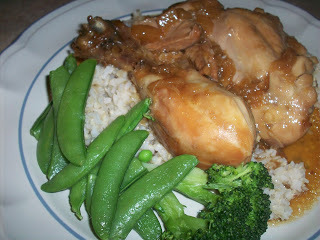 See Crock Pot Pineapple Teriyaki Chicken on Key Ingredient. 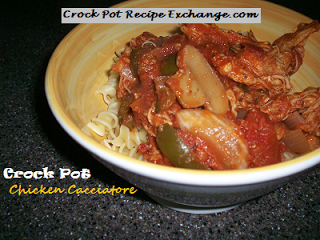 I found the original recipe here and adapted it to my taste and for the crock pot. 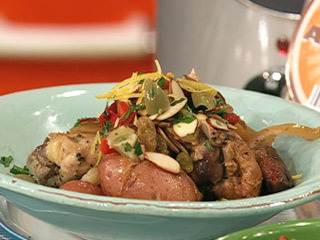 This recipe shared at Tuesday Night Supper Club, Hearth ‘N Soul, Tempt My Tummy Tuesday, Fat Camp Friday, GCC, Foodie Friday, Full Plate Thursday and Recipe Swap Thursday.